Determining card values can be difficult and that’s particularly true for pre-war cards. As I’ve written before, price guides are generally not worth much when trying to determine a card’s true value. Your best bet for finding a card’s value will almost always be past auction sales. Sites like eBay as well as those of the traditional auction houses are generally a solid barometer in determining card values. Price guides can be helpful for newer cards but the problem with them for older cards is twofold. First, many types of pre-war cards are not sold with any great regularity (at least compared to newer issues) and, as a result, the prices can fluctuate greatly. Second, grading can be wide open from collector to collector. What some collectors might call a Fair, others may determine it is a VG. And since price guides provide a value based on a particular grade of card, that means the pricing used by two different collectors would be off, too. One thing that confuses collectors quite a bit is the rarity factor. Now, there is absolutely no doubt that rarity plays a factor in determining a card’s value. Don’t come away reading this and saying rarity doesn’t matter. That’s why the majority of 1980s and 1990s stuff, which was drastically overproduced, isn’t worth very much. But collectors should know that rarity is only one (in some cases, small) piece of the puzzle. Case in point — take the famous T206 Honus Wagner card. The card featuring Wagner is undoubtedly rare with under 100 copies known. But Wagner actually has many more cards that are actually rarer. Some, like his rare Henry Reccius Cigars card, are nearly impossible to find. But despite that, the Wagner T206 is worth significantly more. So why is that? Simple — demand. The largest part of a card’s value is usually going to be demand. There are certainly some exceptions to that. For example, two bidders that really want a card may drive a price up in an auction far beyond what others will pay. But in general, the number of people that want a card will drive the price up or send it downward. T206 cards are a perfect example of that. Those cards are red hot right now and quite possibly the most collected pre-war cards out there. Thing is, they really aren’t that rare and, aside from the Big 4 shortprints in the set, you can generally find several copies of any other card on eBay or readily available elsewhere. Despite that, the prices for them are through the roof. That’s despite the fact that they are much more common than things such as T205 and T207. T207 cards, in particular, are much tougher to find. Yet, commons typically don’t cost any more than T206 commons and some of the bigger stars are sometimes even less. Demand for the T207 set is sort of muted, at least for right now, and the prices for even difficult shortprints are relatively affordable, all things considered. But well-known tobacco cards aside, the demand/price factor is best witnessed in cards that feature generic players. Here’s an example of that. A few years ago, I bought this ultra rare stamp. I’ve found the set advertised back in the 1930s and have even found the names of some of the stamps in it through those ads. But to date, I’ve seen only a few stamps in the entire set and only this one baseball stamp. Based on what I’ve learned, I’ve cobbled together a description of the set but it’s a major work in progress and even the exact producer, date, and name of the set is up in the air. The stamp wasn’t dirt cheap but it wasn’t free, either. And, given the rarity, I wouldn’t sell it for anything close to what I paid for it. But that also doesn’t mean its one of the most expensive baseball collectibles in the world. It features a generic, unnamed player and its appeal would be limited to rare type collectors or people who just like weird stuff. It’s a fine item but, even with its rarity, wouldn’t sell for six figures, or five figures, or even four, even if it is legitimately the only one in existence (I’m guessing it’s not). Another good example is found in trade cards. 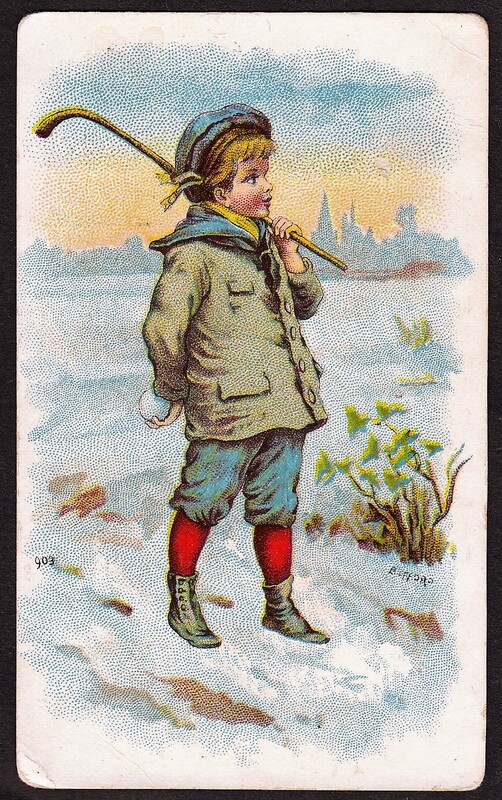 Trade cards were generally produced in the 1800s with the height of them in the 1880s and 1890s. They usually included a picture of some sort and then were used by many different advertisers, who printed or stamped their business name on the front or the back. 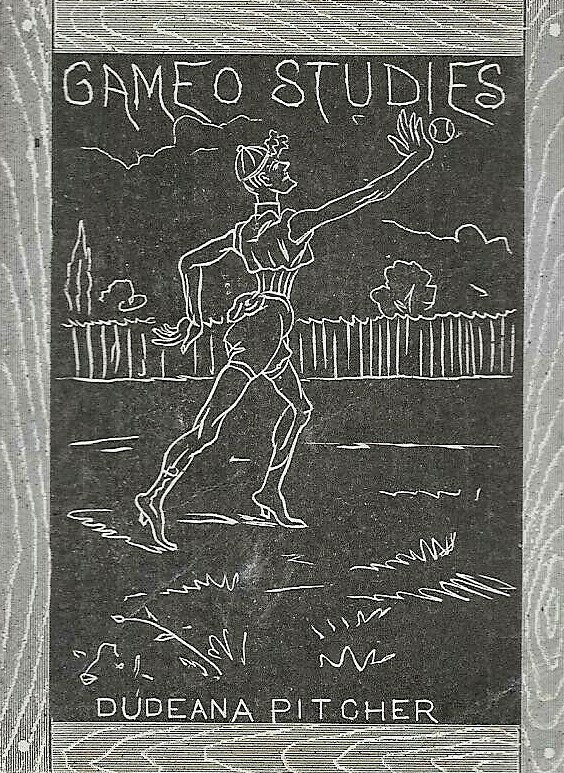 Most trade cards affiliated with sports picture generic athletes. Some trade cards, like the one printed at the top of this article that advertised a toy bank, are quite valuable. And some can be worth upwards of $50 or $100, or even more. But many, despite their age, are worth closer to $10-$30 … or less in the case of minor sports. Again, it’s a case of supply and demand here. While a lot of collectors will pursue cards featuring children playing baseball, others couldn’t care less about that. A large group of collectors don’t touch trade cards and, as a result, a lot of them can be found for very low prices, despite any real or perceived rarity of them. When looking for potential breakout cards (and this is hardly any sort of financial advice), a good strategy is to generally look at rarer cards that could potentially have the sort of demand that would drive prices up. That’s one reason why I happen to love T205 and T207 cards, in addition to T206s. A lot of collectors (including this one) have found their way to those two sets after working on the T206 set. There are all sorts of reasons for that. The cards are the same size, produced by the same company (though, some will dispute that T207 is really an ATC set), and around the same time chronologically. Those two sets are sort of a natural progression for a lot of collectors and I happen to believe that there’s good potential in them. That’s because of the rarity compared to T206, but also because they are sets that have a good number of collectors attached to them and are ones that could draw new ones. The bottom line here is that, when buying or selling a card, it’s important to have realistic expectations. If you’re buying a card, don’t be suckered into the fact that a seller hypes up a card’s rarity. Its past performance will always be a better indicator. Similarly, if you’re selling a card, asking for the moon just because it’s rare isn’t always a great strategy, either. If the card is rare, the market for it might already be very limited. And sometimes the only thing a high price will accomplish is scaring away what few interested buyers you have.